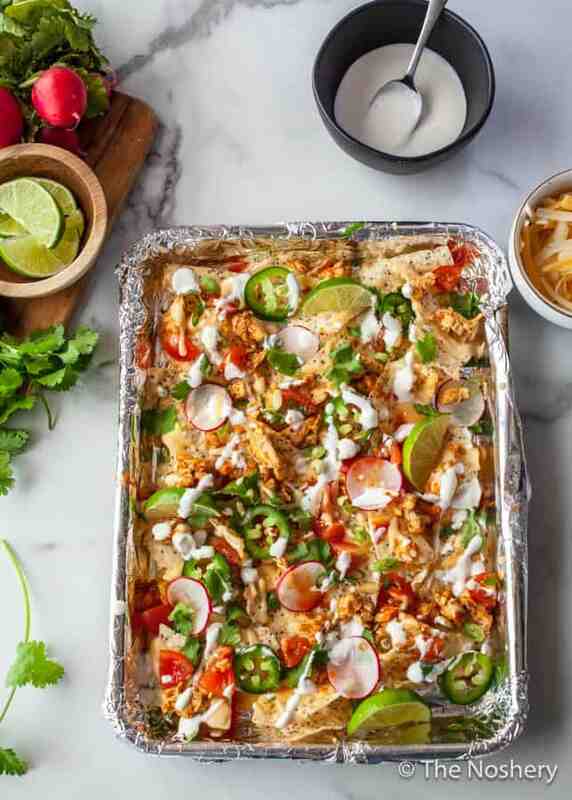 Chicken Nachos | Eating right can be challenging. There are some days a craving hits and it hits hard. For me, the biggest struggle is the craving of crunch. And what is crunchier than chips? Over time I learned that the trick to staying on track isn’t depriving yourself or denying your craving but finding healthier alternatives to satisfy those cravings. I wouldn’t say nachos can be “healthy” but I can say that there are tweaks you can do to make nachos “healthy-ish” or lighter. Here are a few tips to make nachos “healthy”. Compare the nutritional value of different brands of tortilla chips. If you are counting calories or macros the different between 140 calories and 120 calories in a 1 oz serving is significant. Ditch fatty proteins. If you are craving beef nachos go for 93/7 ground beef. Better yet instead of ground beef use shredded chicken breast. One ounce of chicken breast has less fat and more protein than 1 oz of 93/7 ground beef. Stretch your cheese with non-fat evaporated milk. Instead of just sprinkling shredded cheese over the tortilla chips melt the cheese with some non-fat evaporated milk. Load your nachos with fresh veggie low-calories toppings like pico de gallo, cherry tomatoes, cilantro, radish, green onion, and jalapeno peppers. If you need some fat add some diced avocado to your nachos. I’m not one to do traditional meal prep because I never know what I will be craving. Usually, I prep components and then I put a meal together depending on what I am in the mood to eat. One thing I make almost every week is oven roasted chicken. This way no matter what I at least have a protein ready to go. 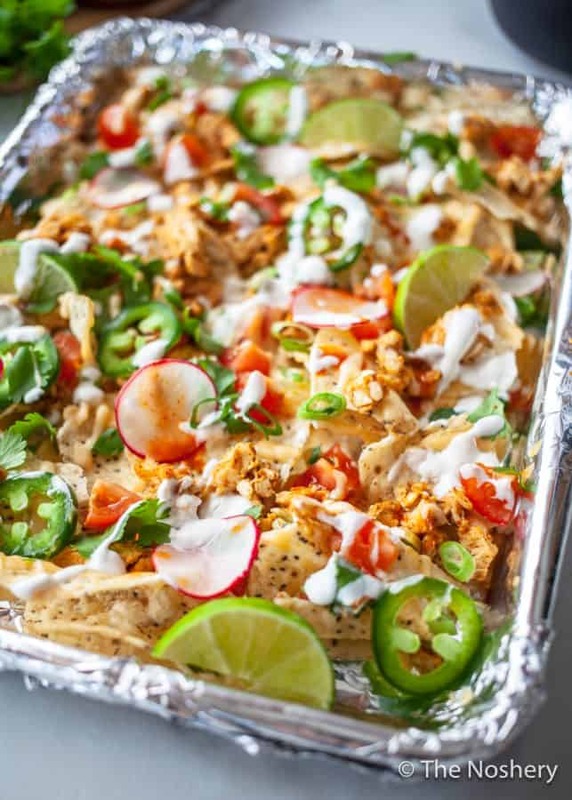 Having oven roasted chicken on hand makes these nachos an easy weeknight dinner. When possible weight your ingredients using a food scale. 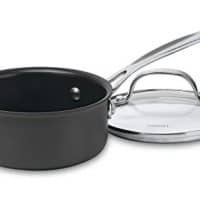 You will get a more accurate measurement using a food scale instead of measuring cups. One cup of shredded chicken will vary depending on how you pack the cup. Three oz of chicken on a food scale will always be 3 oz. Create single serving on quarter sheet pans. This takes the guesswork out of serving size. Also, it avoids fights over the last nacho. Depend on dry seasonings for flavor. Dry seasoning has almost no calories and is a great way to punch up the flavor on any dish. Save yourself the cleanup and line your quarter sheet pan with foil. If you don’t have time to make oven roasted chicken just grab a rotisserie chicken at the grocery store. I am a firm believer that eating healthy doesn’t mean you have to deprive yourself. It’s about making wiser choices. Don’t get me wrong sometimes you want a giant tray of loaded nachos with all the over the top toppings. 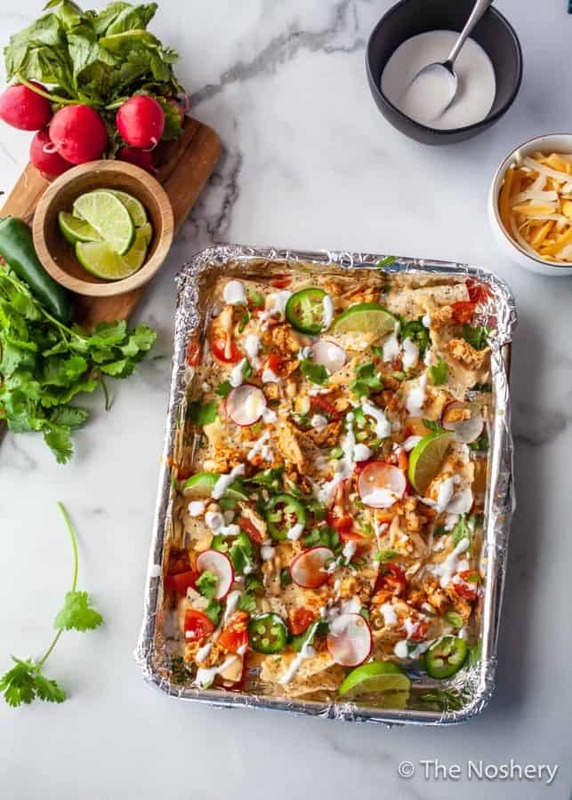 And that is ok, once in a blue moon, but instead blowing it or depriving myself I choose to make a lighter version of chicken nachos to curb my craving. For me, my cravings are usually more about the crunch or the cheese. So, if I can find healthy ways to satisfy those cravings I try that first before ordering the giant plate of loaded nachos at a restaurant. Who says you have to feel guilty about chips and queso? 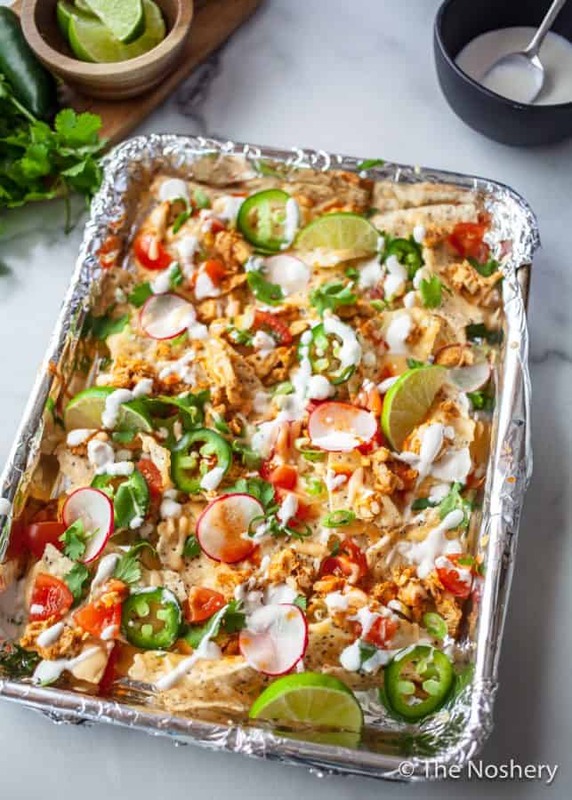 Enjoy all the cheese and crunch of chicken nachos without any guilt. 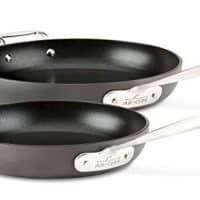 In a medium skillet combine chicken, taco seasoning, and corn starch. Heat over medium-high heat, add chicken stock. Simmer until thicken, about 3 minutes. Set aside. In a small bowl combine yogurt and water. Whisk until smooth and pourable. In a sauce pan combine cheese, cornstarch, evaporated milk, & hot sauce. Whisk until smooth. 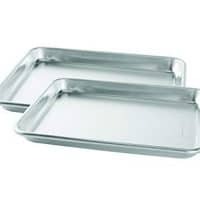 Line 4 quarter sheet pans or 2 standard sheet pan with foil. Divide tortilla chips evenly between the sheet pans. Top tortilla chips with chicken and drizzle with cheese sauce. Broil on hi for 2 minutes. Top with yogurt sauce and remaining toppings.